This post is made possible in part by my Patreon supporters, and for Rasmussen Travels for setting the trip up. Thank you. During the holiday season, I took a quick jaunt back up I-55, only to bypass Chicago and head towards the suburbs. There is actually more to see in the suburbs than one would imagine. Unlike my Chicago trip, I had no need to stay in a hotel. With it being the holiday season, I spent Christmas with family, and therefore stayed with family, and even did some exploring a bit of the area with family. To be fair, they knew where they were going, and I was new to it. Also, technically speaking, this was my future in-law family. But who needs to be technical. With it being the suburbs, there are a lot more "safe family things" to do than in the city. By that I mean, more stereotypically geared towards the average middle class family: malls, movie theatres, etc. as opposed to the boutique stores, museums, higher class restaurants and shops, etc. for the faster paced higher class family or the younger adults before they make a family (should they choose to). 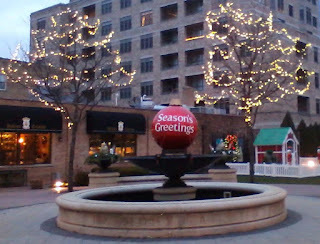 Speaking of malls, in the Northwest Suburbs, there is a large mall in Schaumburg, IL called Woodfield Mall (once the largest mall in the United States) and the Streets of Woodfield shopping center across the street, both off of I-290. Anything you can ever find at a mall, can be found at either of these two technically separate locations. With the different Chicagoland restaurants (I recommend Maggiano's Little Italy), one can literally spend all day shopping there with meal breaks on location. For us, we stopped at the mall for the movie theatre, and watched Star Wars Episode VII. For those who have not seen it, I do recommend it. Continuing with malls, Wisconsin is only a half hour away from the Northwest Suburbs. What that means to the thrifty shopper is lower prices! Who does not love that?! Well, okay, maybe the items themselves are not lower, but the total bill is. In Kenosha, WI there is an outlet mall that we went to. 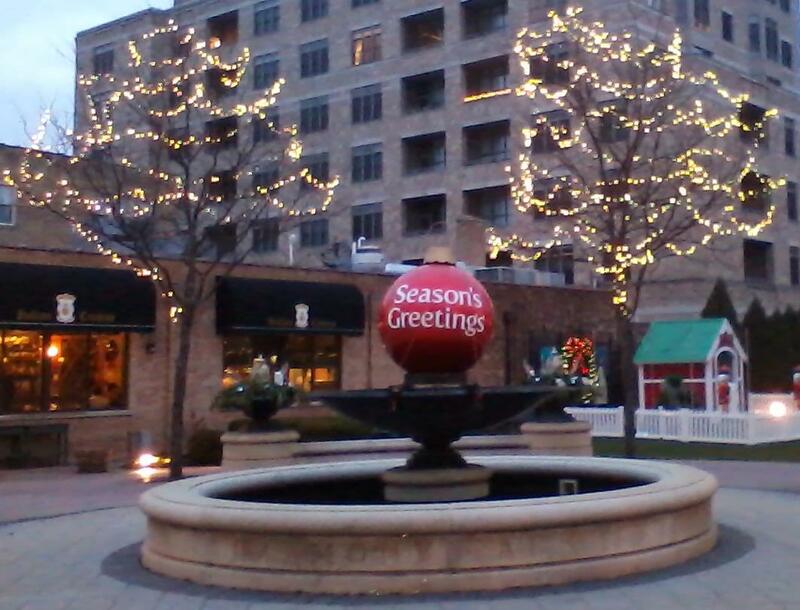 The sales tax in Kenosha is only 5.50% (as of Dec. 2015) compared to the 9.25% (as of Dec. 2015) found in Schaumburg. The drive is not that long up the interstates, so coupled with the various sales and discounts already found at outlet malls makes the trip worth while, should you already be in the area. On a quick side note, this visit to Kenosha taught me what an outlet mall was. I never knew before. Downtown Arlington Heights, another Northwest Suburb, offers quite a bit for those looking for a fun afternoon and evening. For lunch or dinner, I recommend a visit to Javier's Mexicano. The food is reasonably priced, and very tasty. Plus, they have tequilas that I have never heard of. Come time for night, my favorite hangout in Arlington Heights is Big Shot. It is a small piano bar on the sublevel. The stairs are across the street from the picture above. The entertainers there play everything from the Rat Pack to Today's Top 40, and play with the crowd, not just for the crowd. I go there almost every time I am in the area. This is one area outside of home where you will find me most. With this being the seat of my future in-laws, this is place most likely to hold my presence on more than a few weekends. For that, there is always something to do.